Performance “Vitality” is a way to examine “vitality” on a human and domestic scale. It was first developed in a collaborative process with 17 students from Tama Art University in Tokyo. Creative process included workshop “Re-vitality. Performative workshop” which affected shape of final performance. The ephemeral action was blended into the environment in which it was held. 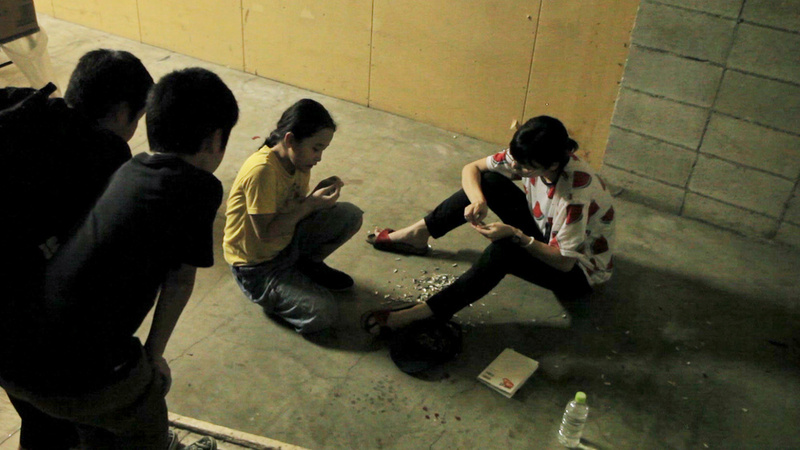 The performers were located in gallery spaces and surrounding areas and nibbled sunflower seeds. Their poses were nonchalant. Essentially they were not much different than passers-by. The main difference was they were directly observing them - from the moment the passerby appeared till the moment he/she disappeared form the performer’s vision. Performers created an invisible but strong line through their gaze, which connected them with passers. The feeling of being watched caused consternation or even loss of self-confidence in those who became objects of observation. The act of nibbling sunflower seeds was related to the period which was recognized by me as the most vital – late childhood, and was related to my personal experience form the time when being around 12 years old I was spending hours with my friends sitting on a stairs of the staircase in pre-fabricated tower block where I was living. 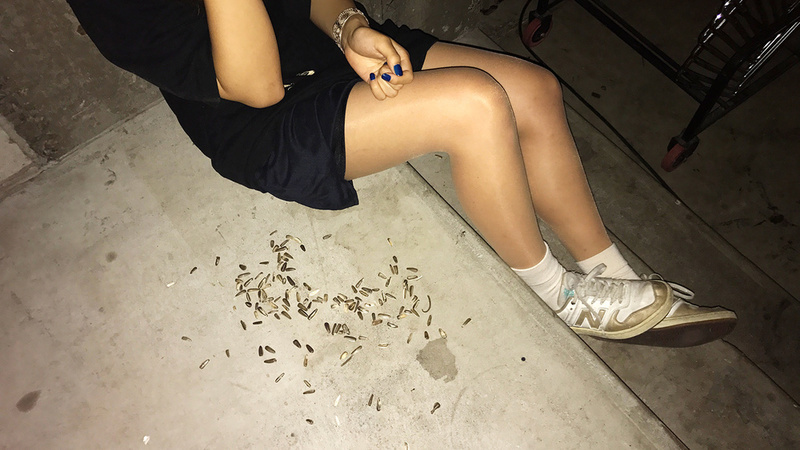 We were nibbling sunflower seeds and chatting for hours, leaving very visible traces of our presence – sunflower husks. That occupation was giving us a sense of illusionary power. Performers were invited to make a repetition of nibbling gesture and at the same time to incorporate their own, personal gestures (ensuing from different cultural and social context). The wide range of abstract gestures brought by them, e.g. highlighting a hand, killing ants, holding pee, licking textbook were acted with a serious approach and strong emotional involvement. Soft and ephemeral, personal gestures interrupted and changed the character of the main routine. Only very attentive viewer could become a witness of these moments. 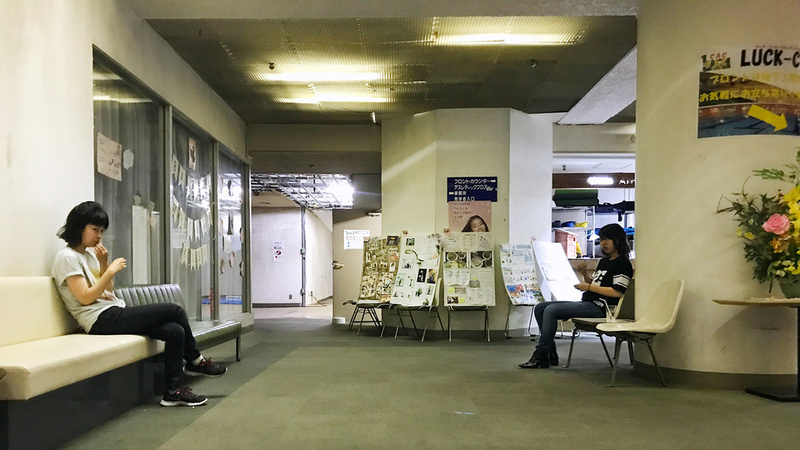 Although performance strongly affected people who become a part of it just by being present in the same space, they had to find their own way to handle the situation.